Players, you MUST bring indoor shoes with you and change NO OUT-SIDE SHOES ALLOWED. Bring your gloves and dress appropriately. Parent viewing area is upstairs. (Only for players that are not able to attend the April 7th evaluations. My child is eight years old and would like to play in the 9/10 (10U) division. Does he/she still need to come to evaluations? Yes, they do. They must be evaluated prior to being moved into the 9/10 (10U) division and should attend the 9/10 (10U) evaluation session. My child played Bronco last season. Does he/she still need to come to tryouts? Yes, they do. We redraft the 11/12 (12U) yearly. Will my child be on the same team as last year? If your child is selected for the 11/12 (12U) or older divisions, they are subsequently placed on the team that selected them. If they are in the Mustang 9/10 you may request a coach or team and we will do our best to fulfill your request but there is no guarantee. If your child is in one of the younger divisions, you may request a coach or request your son or daughter be placed with a friend or neighbor. What does my child need to wear? Your child needs to wear loose fitting clothes (sweats, warm-ups or baseball pants and a t-shirt) and NON-MARKING INDOOR SHOES. Your son or daughter will not be allowed into the gymnasium with street shoes. Oh, and please do not forget to have them bring their glove. It will be used extensively in the evaluations. Can I be in the gymnasium with my child during evaluations? No. Only coaches and league personnel are allowed on the gymnasium floor during evaluations. The observation level above the gym should be open for parent viewing. What if I can't make evaluations or my son or daughter is sick? We are a league of volunteers, all with families and understand life does happen and complications can (and do) arise. If your child cannot make evaluations at the scheduled date and time or makeup evaluations, then we ask that you contact our League President Steve Forrest via e-mail or phone ASAP (ancponyball@gmail.com or 563-7922). Can I register at evaluations? Yes, you can. However, there is typically a long line and a lot going on during evaluations. We strongly encourage you to take advantage of our online registration service before attending evaluations at www.farnorthysa.org. What is the "Denali League"? The Denali League is an optional/additional baseball level for those players that desire a more structured and competitive experience. For more information go to www.farnorthysa.org. REGISTRATION FOR THE 2019 SEASON IS OPEN! April 7: Mandatory Player Evaluations (ages 8/Mustang and up) @ South High School 11am-6pm. You Must Log into Your Member Account to register. This link will take you to the member log-in to log into your existing account or to create a new account. You must complete the check out process to be registered. You will receive a confirmation email once the process has been completed. Registration ages for the 2019 season. 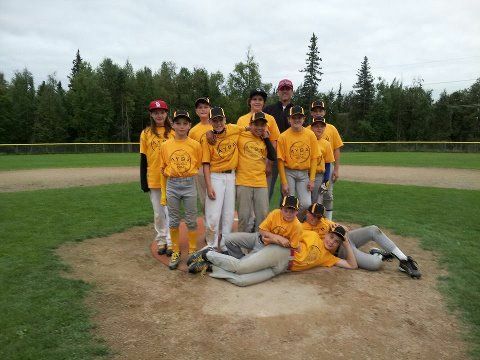 Thank you for considering playing at Far North Youth Baseball League. Far North is a Family oriented baseball league in Anchorage that is an affiliate of PONY Baseball. Far North offers both regular season play from mid-May to the end of July and competitive baseball from June to September. Wed, 27 Feb 2019 14:14:00 EDT The game is changing, perhaps more quickly than ever. Forget comparing the sport to what it looked like in the 1960s or the '80s; the game has changed massively in just the last half-decade. Remember, just five years ago, we were all talking about the lack of power ,and no one was talking about launch angle or spin rate. Things are slightly different now. Copyright © 2001 - 2019 Far North Youth Sports Association. All Rights Reserved.